The Total Party Kill Primer (Vol. 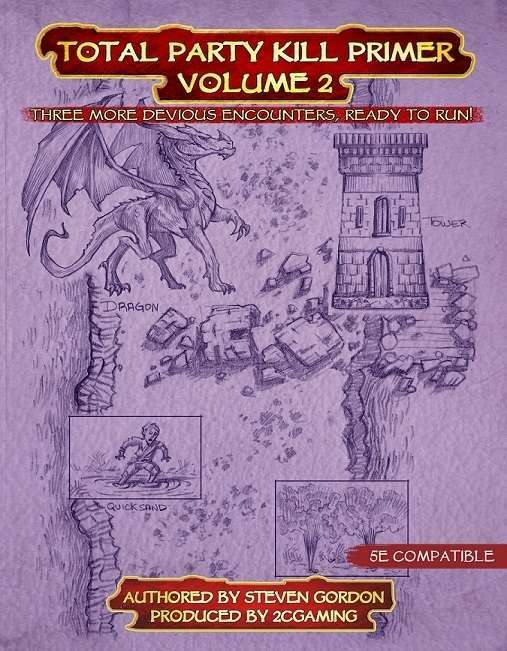 2) contains three ready-to-play encounters designed to test fifth edition adventurers to their limits. Each encounter includes tactical guidelines and scaling suggestions to adapt to the specifics of your party and challenge them to their limits.